Load cells are useful for applications ranging from material strength testing to prosthetic limb sensing, monitoring infusion pumps delivering drugs, agricultural product sorting, suction cup strength measuring, and human-robot collision force sensing. This experimentally-verified load cell allows someone to measure objects weighing from 0.01-1,000 N (1 gram - 200 pounds) with a single device. Standard linear load cells only work over three orders of magnitude- so they cannot distinguish differences in small forces,or they break at large forces. The load cell can do this because it is very sensitive at small forces and less sensitive at large forces. That, the structure is a very weak spring at small forces and stiffens as more force is applied. 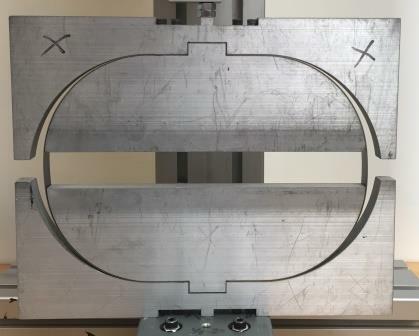 The mechanism that allows the stiffening behavior is the flexure increasingly wrapping around the curved surfaces, which shortens the length of the ring free to bend. A shorter bending length equates to a stiffer structures. This device has been patented. 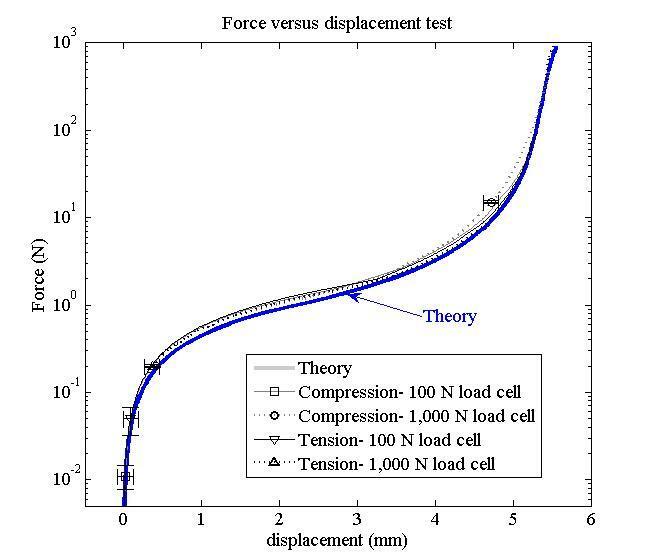 Theory and experimental data for load cell with spring steel: the flexure works as designed over 5 orders of magnitude. 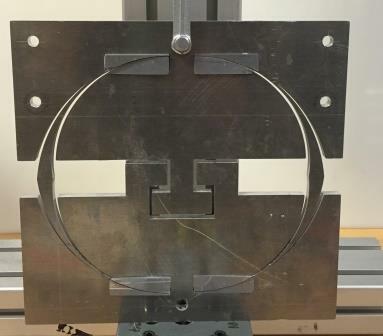 Once a deflection sensor is added to the load cell, the device will allow someone to measure objects weighing from 0.01-1,000 N (1 gram - 200 pounds) with a single device. Standard linear load cells only work over three orders of magnitude- so they cannot distinguish differences in small forces, or they break at large forces.